I knew these were going to be my go to. They are fast and easy- but taste like they take a long (don't worry I will keep the secret) so here we go! First lay cookies out on cookies sheet. See the little dimples just waiting to be filled? Melt caramels with water for 1 min in microwave. Stir till smooth. 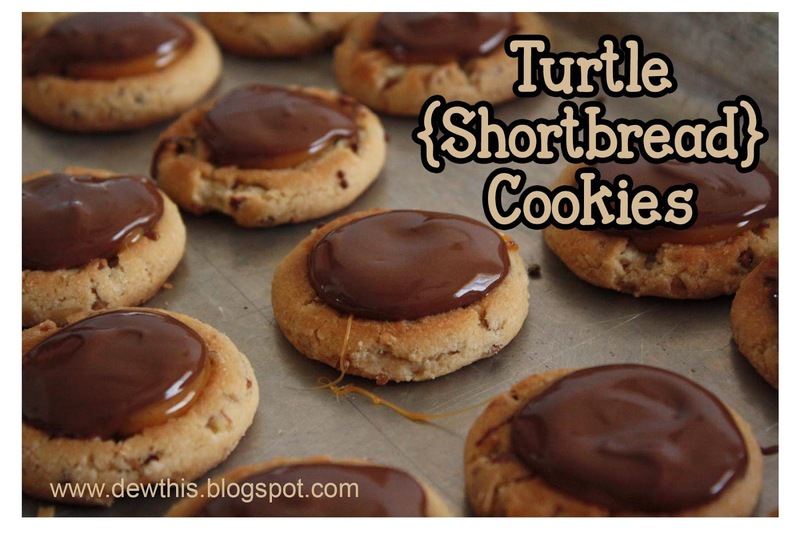 Drop about a teaspoon on each cookie. Let them set. By the time I had finished the last cookie the first was already for the chocolate! Melt chocolate chips and shortening in microwave for 30 sec. Stir till smooth. 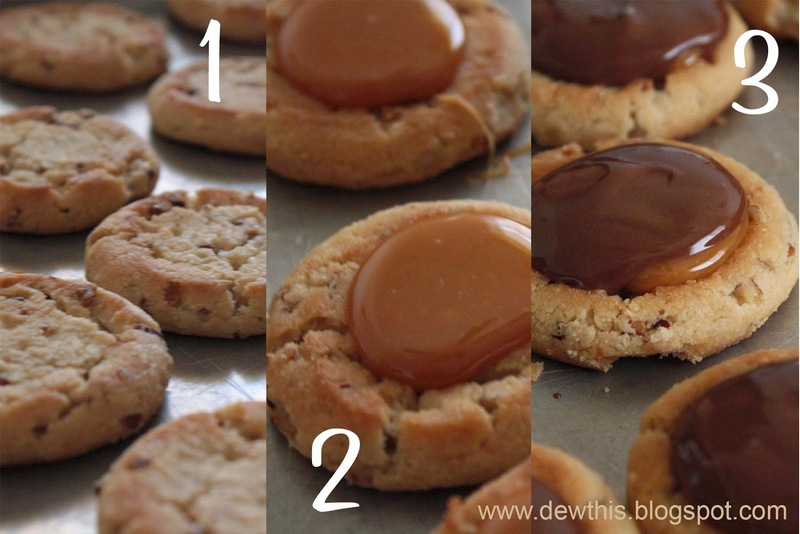 Drop about a teaspoon on each cookie to cover caramel. Let set (if in a hurry you can place in refrigerator) and you are ready to WOW! Easy peasy and only two bowls to clean? These cookies have it all!